Happy 4th! | Be Nice. Driving home after a snazzy Indian food dinner tonight, my husband and I had a conversation about being part of the status quo. The status quo I’m thinking about is the type of life many people live: working 40 or more hours a week at a job they tolerate, a commute to and from work, a life outside work loaded with chores and household maintenance, and a hobby or passion that there is barely time for after all the preceding stuff. Nothing scares us more–especially the thought of having no time for our passion: art. Not that we mind parts of that life (working of course, being the necessary evil), but it seems that the normal “life” stuff can consume a person–the dishes, laundry, errands, chores, socializing, fitness. So much to do, but where is the passion? I try to live each moment with a sense of passion and purpose, but even that can be taxing. Balancing all the areas of your life with unending positivity and purpose can be daunting, exhausting, and frustrating. It’s hard to always be pushing, pushing, pushing… always working and striving and trying. Sometimes in a moment of irritation and desperation, we irrationally think, “Why do I do any of the things I do?” And sometimes–even worse–there’s no real good answer. Then I thought about the three basic options we have in life: progressing/striving (sometimes struggling), maintaining/floating (occasionally called laziness), or regressing (typically prompting an intervention). When faced with these three basic options, I like to believe that regression is the worst option. Why lose everything I worked for? At least “maintaining” will keep my life at the standard I’ve worked to achieve…. And indeed, at least a few times a year I coast for a while. Recharge my batteries, wrap up half-finished projects/hobbies, watch a lot of movies, hang with friends. It is incredibly necessary (and a luxury too). But that gets boring after a while. And then I start to push again–not because I have to (even though I do have to), but because I want to. I say to myself in those moments, “Now this is when I know I’m not mediocre or living life without passion,” because I keep trying. I keep moving on. It might be hard to do, and a roller coaster for sure, but it’s worth the effort. This subject seems extremely relevant on Independence Day weekend. Think of the constant struggle older generations have faced to get us to where the States are today. Man, do we have it good! Just look at my last 2 paragraphs. Seriously, how lucky am I to be contemplating the boredom that comes with “maintaining” a lifestyle?! It seems, as human beings we are always trying to improve our situation; trying to do more, have more, be more. But sometimes we should give it a rest, don’t you think? So this weekend, do me a favor. Coast. 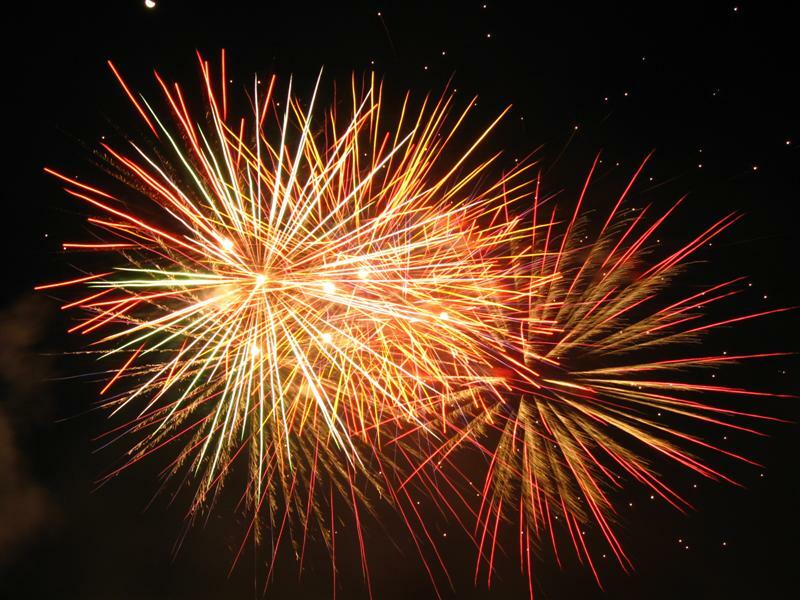 Enjoy the fireworks, the barbeques, the company of friends and family, the nice weather, the time off. Just relax. And throw in a tiny moment of gratitude, recognizing how really good we truly have it. This entry was posted in Be Nice. Events, Nice Notions, Perspectives on Be Nice. and tagged 4th of july, Independence Day, July 4th, status quo by Jen. Bookmark the permalink.